PLEASE DON’T PURCHASE POISONED MILKWEED PLANTS FROM BIG BOX STORES! FROM: Sandy Robinson, President, National Garden Clubs, Inc.
Garden Club member Mary Writes, I purchased a Milkweed plant from Home Depot near my home and it wasn’t until I got home that I noticed the little information stick hidden behind the identification information that the plant had been treated with systemic Neonicotinoids. The container boasted how desirable the plant is for birds and butterflies. Yesterday I went to a different Home Depot and they had just put out an entire rolling cart of these plants, maybe about 100, all poisoned. I contacted the store manager and told him that it is the same as giving poison candy to kids on Halloween. This is THE host plant for the Monarch. My club, Shady Oaks and our junior club, Little Shadows have worked so hard to establish a Monarch Waystation and to educate people on the decline of the Monarch. I hate to think of the millions of poison Milkweed being distributed nationwide by Home Depot. I contacted the LSU Ag Agent for New Orleans, Dr Joe Willis. He said the Neonicotinoids will dilute as the plants grow but that only a very small amount will kill the larva of the Monarch. He is contacting the Master Gardeners of the area. I contacted the newsletters of garden clubs to ask that they send a notice to members. I contacted a local GOA club and the president said she would inform her members. I contacted our LGCF President and our Environmental School Chairman with the information. We need a notice to Home Depot from a national source. I contacted the Monarch Watch organization www.MonarchWatch.org/waystations at the University of Kansas (1200 Sunnyside Avenue, Lawrence, KS 66045) . It needs to be sent soon as these plants are being sold now to well meaning people who are wanting to help the Monarch and not kill them. I hate to think of the billions of plants being sold nationwide and how that will cancel the efforts of so many to stop the demise of the Monarch. Could you please help? GMG Readers, Wednesday I am planning to check to see if our local Home Depots are also selling milkweeds with pesticide. I don’t purchase plants from Home Depot as they are generally of a much poorer quality, however I have in a pinch. 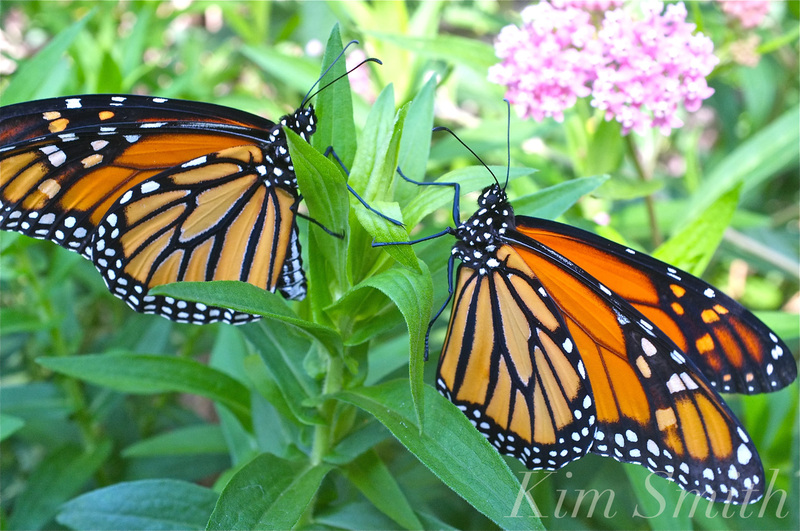 This entry was posted in Lepidoptera, Monarch Butterfly, Monarch Butterfly in Crisis and tagged Cedar Rock Gardens, Home Depot, milkweed, Neonicotinoids, Northeast Nursery, Wolf Hill on May 11, 2017 by Kim Smith. Not sure if this is the case with all Home Depots, I am in CA and the milkweed I have purchased from one particular home depot here has been working great so far. Since 2014 I believe Home Depot is required to label plants that have pesticides. And the Vigoro brand does not have that label. So far I’ve release 10 healthy Monarchs and have 30+ chrysalis due to emerge next week. All have been on Home Depot plants. Again your Home Depot may have a different supplier, mine all have come from a supplier in Fallbrook, CA. My wife purchased milkweed and some salvia from Home Depot to supplement our garden milkweed that has been regrowing every year had been eaten to the ground and refresh the flowing nectar plants in our butterfly garden. There were no neonic warning tags on any of them. Now all of our caterpillars are gone and the plants she purchased haven’t been touched, There are no monarchs or many other butterflies flying around my yard either so I’m wondering if the nectar and pollen on the milkweed and other flowering plants from Home Depot is also poison? My daughter is raising monarchs for the first time. Everything was going well until she purchased a milkweed plant from Home Depot marked vigoro on container and she lost 2 caterpillars on 1st day. First plant was from garden center. We saw the notice about milkweed from Home Depot and went back to garden center plants. We hope we have been quick to save the rest. So sad that many people will not realize what is causing monarch caterpillars to die. She lives in San Diego.